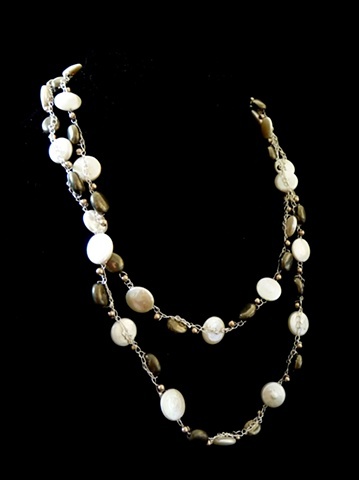 This necklace features discs of pearl white coin Pearls and golden oval Pyrite, with bronze Swarovski Crystal Pearls between. Each stone is connected to the other by one long strand of crochet, .999 fine silver wire. It is finished with a sterling silver lobster clasp.